Concerned About Arsenic In Your Drinking Water? Arsenic is a relatively abundant toxic element in the earth's crust and is found in more than 245 arsenic-containing minerals. Arsenic levels in the environment are due mainly to the eroding of these minerals (both above ground and in ground water) and to human activities (application of arsenic-containing fertilizers and pesticides, use as a wood preservative, burning of fossil fuels, mining, smelting and disposal of industrial wastes). Is Arsenic Bad For You? It depends greatly on your degree of your exposure. Arsenic has been a contaminant of concern in drinking-water for many years and is unquestionably toxic at certain concentrations. Exposure to high levels of arsenic in drinking water has been associated with lung, bladder liver and skin cancers. Other potential adverse health effects of ingestion of elevated level of arsenic include gastrointestinal ailments such as nausea, diarrhea and cramping, thickening and/or discoloration of the skin, cardiovascular disease, developmental and reproductive effects, and increased risk of diabetes. Because of the potential health effects, the U.S. Environmental Protection Agency has established national standards limiting the maximum allowable arsenic concentration in public water supplies. As early as 1942, the standard was established at 50 µg/l. However, as better health effects information became available, the national standard was tightened from 50 µg/l to 10 µg/l in 2002. NOTE: If your drinking water is obtained from a private well or from a very small community water supply system, your water probably isn’t subject to state and federal regulation. If your water supply is unregulated, it would be prudent to have your water tested for arsenic -- and perhaps for other contaminants. Arsenic tests are available here and tests for other contaminants are available here. What are your options if you wish to remove arsenic from your drinking water? Distillation, ion exchange and reverse osmosis water treatment systems are very effective at removing arsenic from water. However, their use may be overkill if your objective is to remove nearly all arsenic from your drinking water. Relatively simple water filtration systems can remove essentially all of the arsenic, and they’re less expensive and much less complicated to operate and maintain than the other forms of treatment. A filter element designed specifically to reduce arsenic, the A-5 Arsenic Reduction Filter Element, is capable of reducing arsenic levels in your drinking water by as much as 95%. 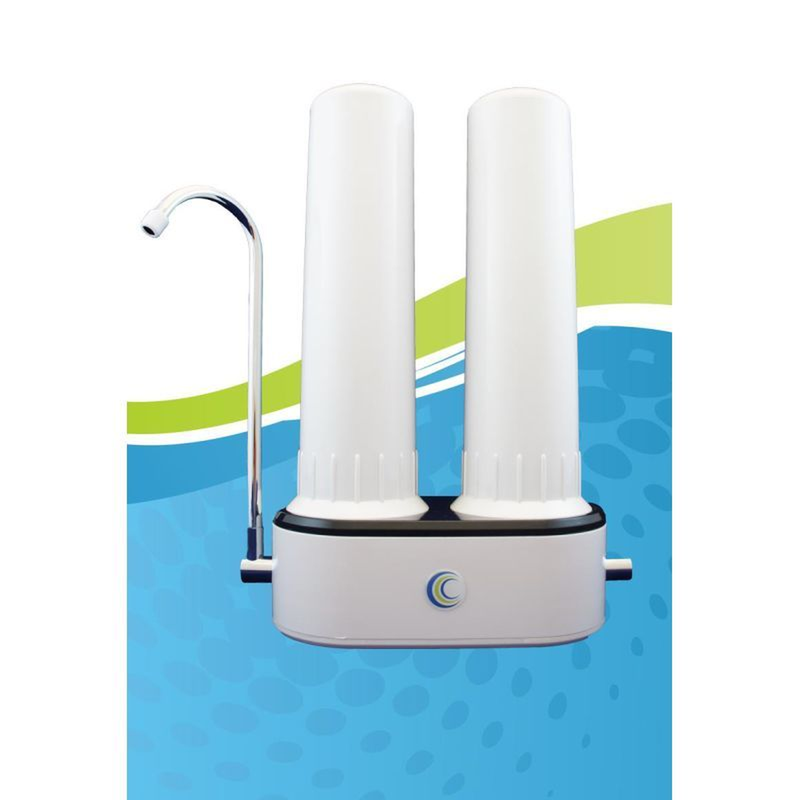 The dual-stage arsenic filter systems shown below come with two filter elements that include the A-5 Arsenic Reduction Filter Element along with your choice of a CeraUltra, CeraMetix, and AquaMetix filter. By combining two separate filters in one filter system, your water is filtered twice. This results in near zero arsenic concentrations and greatly reduced concentration of most other drinking water contaminants. A number of other water filter systems also are capable of reducing arsenic levels by as much as 80-90% in addition to reducing many other drinking water contaminants, such as pathogenic micro-organisms, disinfectants such as chlorine, disinfection by-products, inorganic chemicals, organic chemicals and radionuclides. 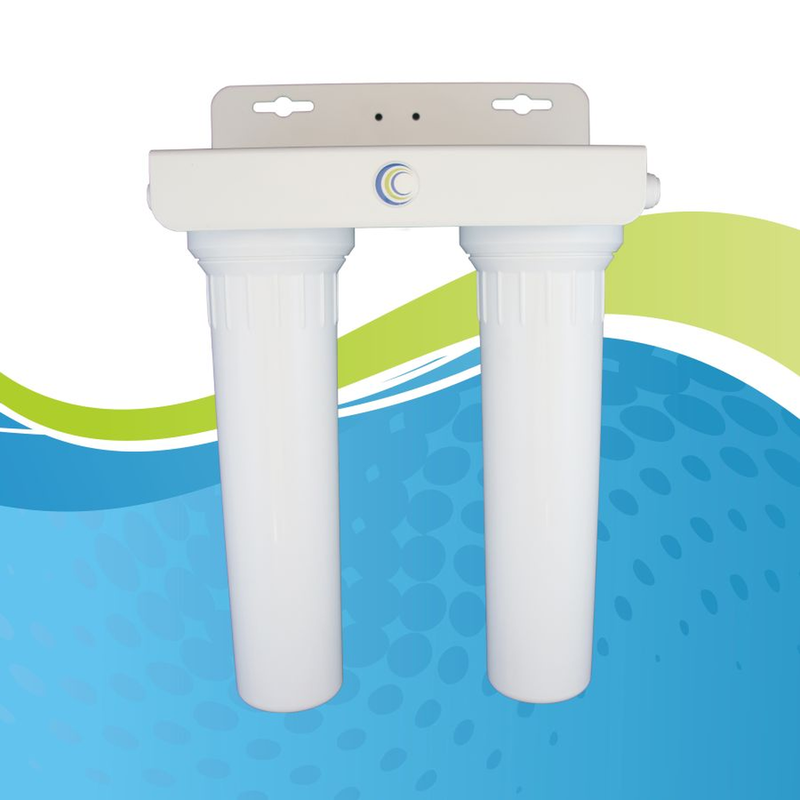 Check out our gravity water filter systems and other counter-top and under-counter water filter systems.